Bioluminescence occurs in insects, animals, plants, and bacteria fairly frequently, but so far we haven’t harnessed it for our own personal use. 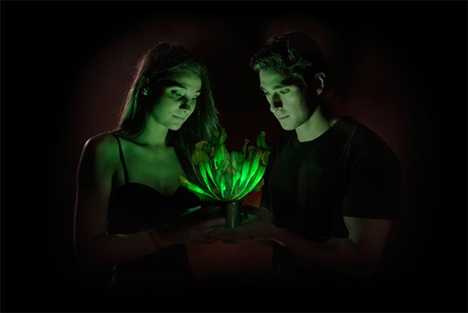 A company called Bioglow is changing all that by creating the first autoluminescent plant: a glowing plant that doesn’t need chemicals, special lights, or electricity to glow. They call their first prototype Starlight Avatar. It was developed from a strain of ornamental plants and genetically modified to glow on its own. 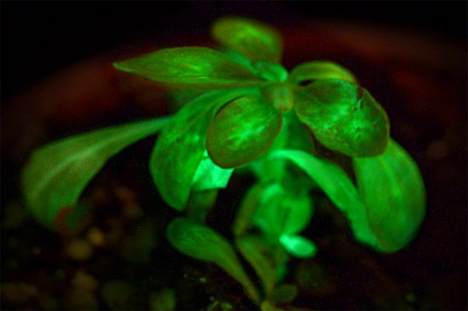 The plant’s life cycle is only 2-3 months – with the brightest glow coming from the younger growth – so don’t expect the light show to continue for years to come. 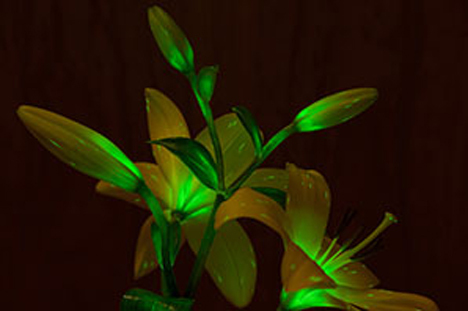 But Bioglow is working on making the plants brighter and longer-lasting so that eventually they may reduce our reliance on electricity for light. While the first thought that popped into our heads was creating a whole outdoor garden full of glowing plants, the Starlight Avatar is strictly an indoor ornamental plant. The plants emit light continuously, though, so you can still build an interesting terrarium or array of planters indoors. The actual mechanism for creating the glowing flora can be found in a 2010 PL0S One article by Dr. Alexander Krichevsky, the head of the project, and his colleagues. Although the Starlight Avatar isn’t exactly for sale at the time of writing, the company decided to auction off 20 of the glowing plants with starting prices of just $1 for people who can’t wait to get their hands on one.